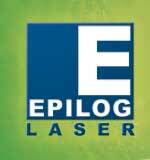 In addition to the organizations above, Epilog has been involved in various local high school sports and extracurricular club activities. With each charitable contribution of time and/or monetary gifts, Epilog furthers its commitment to giving back to the organizations that make our world a better place. Below are some of our favorite recent giving activities! Epilog’s annual Christmas toy drive was a rousing success! We’re excited to say that with generous donations from Epilog ownership, Epilog employees, and our friends at Colorado 811, this holiday season we raised over $1,000, which we used to purchase hundreds of toys (filling 5 Zing shipping boxes!) for the Santa Shop at The Action Center. 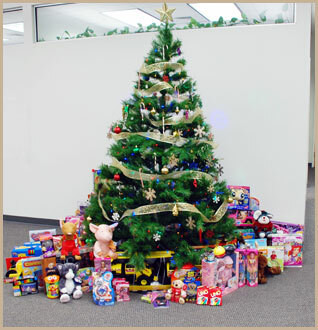 Each of our three buildings (production, sales and marketing, and technical support) had their own tree where gifts could be dropped off, and we then combined all of the presents employees had brought in, along with the new ones we purchased with our donated funds! The Santa Shop is a week-long program that takes place in mid-December, allowing low-income families in Jefferson County, CO. to choose Christmas presents for their children free of charge. 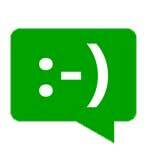 This enables parents to use their limited resources for necessities like utilities, food, and rent. The Santa Shop is a fantastic program that helps brighten the holiday season for Jefferson County kids. Epilog has participated for the last several years and we love being able to help area parents give their children the gift of a wonderful Christmas. 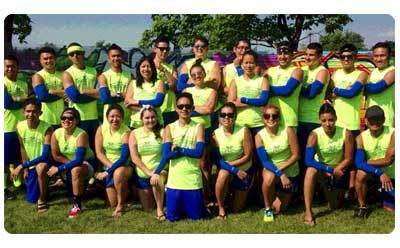 Another Dragon Boat Festival has come and gone in the Denver metro area and the Lao Buddhist Temple Team, sponsored by Epilog Laser, nearly swept the races. This year the LBT team took home the gold medal for the 500 meter race and 250 meter race, and they took home the bronze medal in the 125 meter race. Epilog employees Bryan Sengdara and Jeffrey Prakhine were rowing their hearts out to help bring home the victory. Congratulations to the entire team! From backpacks to folders, colored pencils to notebooks and beyond, Epilog employees helped ensure Colorado students start the school year off right! 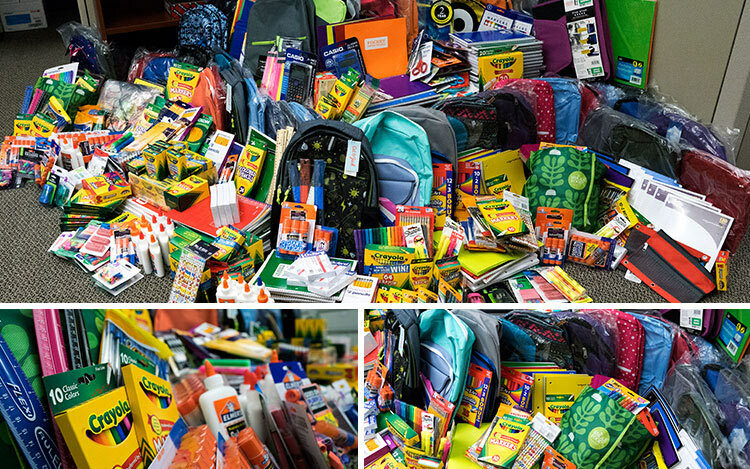 We're proud to have worked with The Action Center to donate nearly $1,000 in supplies for the 2017/18 school year. The Action Center’s mission is to provide an immediate response to basic human needs and promote pathways to self-sufficiency for Jefferson County residents and the homeless. 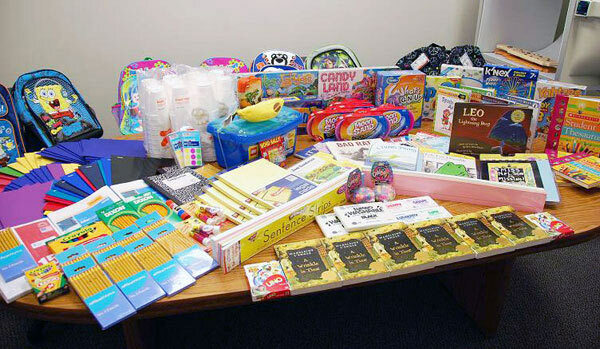 The school supply drive benefits The Action Center’s Annual School Supply Distribution. In previous drives, more than 5,000 students received school supplies from the School Supply Distribution. 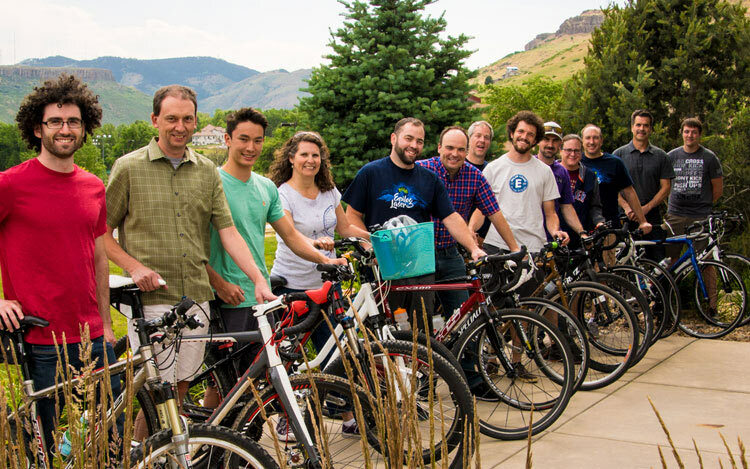 While National Bike to Work Day is held in May, due to Colorado’s mountain communities and unpredictable weather, here we've declared June as Colorado Bike Month, with the fourth Wednesday of the month being Bike to Work Day. This year several Epilog employees took to two wheels and headed out! Our cyclists enjoyed a complimentary breakfast and t-shirt from Epilog for all their hard work! The Denver Regional Council of Governments' Way to Go program brings together city and county governments and other interested groups in the metro area each year to plan Bike to Work Day as a way of raising awareness of bicycle commuting. Bike to Work Day represents a grassroots effort by cities, counties, transportation planners, community organizations and others across the state to educate commuters about the benefits of using two wheels to get to work. 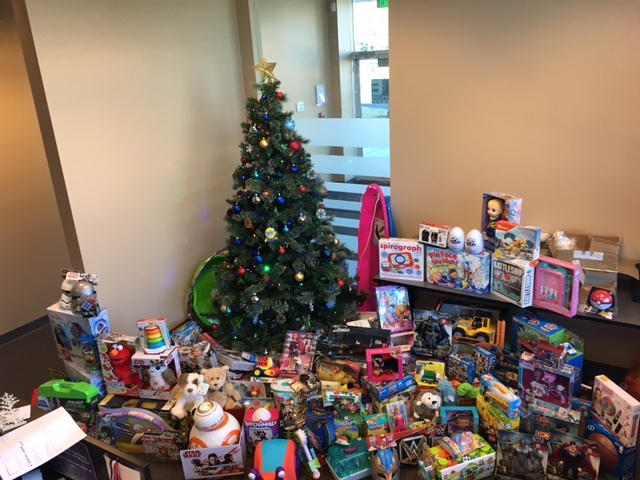 With generous donations from Epilog ownership, Epilog employees, and our friends at Colorado 811, this holiday season we raised an impressive $1,589, which we used to purchase over 200 toys for the Santa Shop at The Action Center. The Santa Shop is a week-long program that takes place in mid-December allowing low-income families in Jefferson County, CO. to choose Christmas presents free-of-charge, which enables parents to use their limited resources for things like utilities, food and rent. We were also excited to send an additional monthly cash donation for ongoing needs at The Action Center throughout the year. Once again Epilog employees pedaled their hearts out to raise money for the National MS Society's Bike MS in 2015. 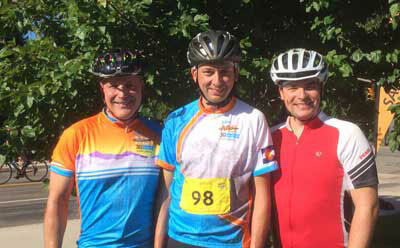 From left to right, Mark Schwarz, Chad Mitchiner, and Ben Sieber participated in a multi-day ride and logged 150 miles for 2015's BikeMS event. To date, Bike MS cyclists, volunteers, and donors have raised more than $1 billion so people affected by MS can live their best lives. Every summer several Epilog Laser employees row their hearts out at the annual Dragon Boat Festival. 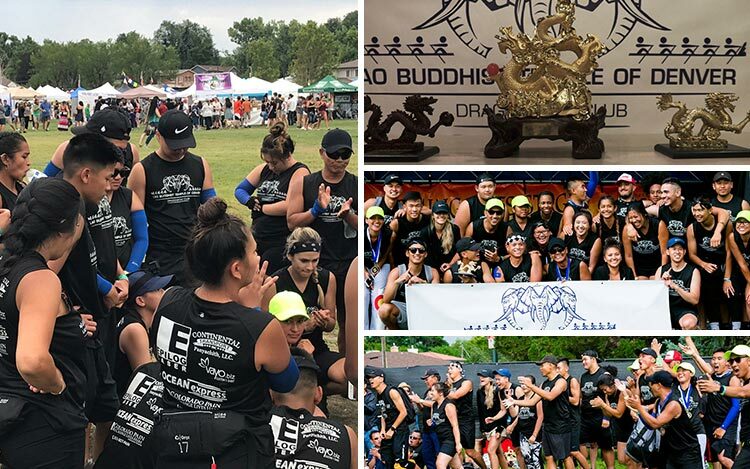 This is the sixth year that Epilog Laser has sponsored the Lao Buddhist Temple Team and we're proud to say they took second place in two events! The LBT team was organized by Ood Chommala (team manager) and included Epilog employees: Kenny Inthiraj, Alex Moore, Jeffrey Prakhine, and Brandon Vongphackdy. The team participated in the Hong Kong style competitive 500 and 250 meter races and came in second in both categories. Word is we missed first place by less than a second - we're looking forward to the #1 spot in 2015! 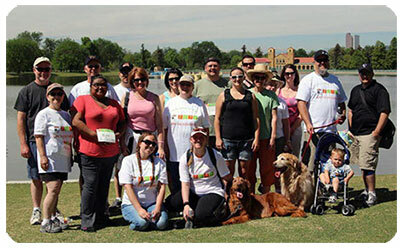 Epilog Marketing Admin and Superstar Event Planner, Jessica Carney (pictured below, front row left), recently participated in the Colorado chapter of Walk MS - and was able to raise $2,275 for a great cause! 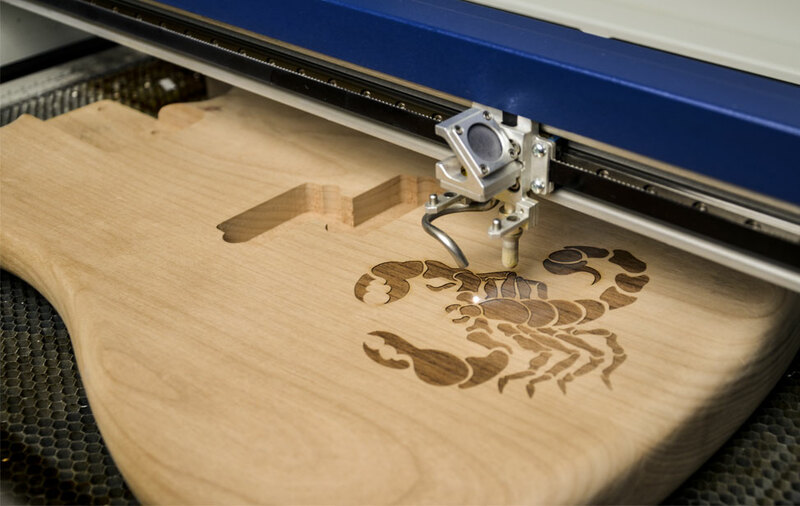 Epilog Laser graciously donated $1,500 to Team Honey Badger, while Epilog employees and distributors contributed an impressive $515! The National MS Society is a collective of passionate individuals who want to do something about multiple sclerosis now - to move together toward a world free of MS. The society helps people affected by MS by funding cutting-edge research, driving change through advocacy, facilitating professional education and providing programs and services that help people with MS and their families move their lives forward. 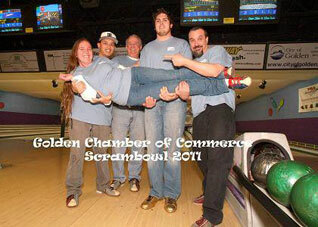 Congratulations to Jessica and rest of Team Honeybadger! 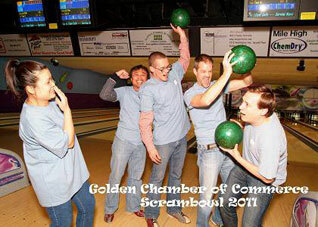 Once again Epilog Laser employees flaunted their superior bowling skills to take first place in the sixth annual Scrambowl for Lights in Golden, CO. 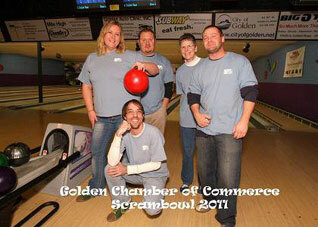 The Scrambowl is an annual event, sponsored by the Golden Chamber of Commerce to raise funds to help pay for the holiday lights along South Golden Road. 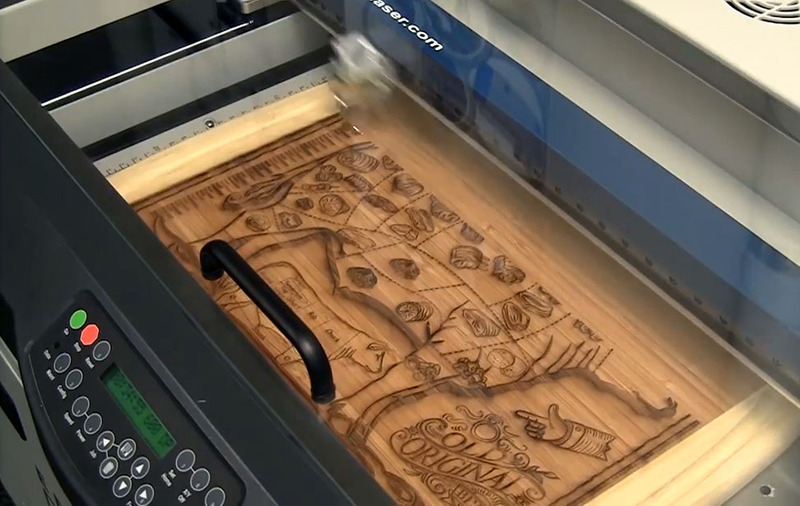 Epilog Laser beat out 48 teams that competed for best score, worst score, best team uniform and other prizes. Though ours snazzy Epilog shirts didn't win for best uniform, we DID walk away with the Best Score award and that's all that matters! 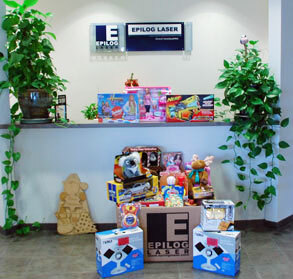 This year Epilog Laser and our employees were able to collect nearly $1600 and over 550 toys for our annual toy drive for American Military Family, Inc.
We were lucky enough this year to actually have a surplus of new toys and were able to send those off to the children of airmen at Buckley Airforce Base! As the holidays approach we're reminded how lucky we are as a company and individuals. In the spirit of giving back Epilog employees have recently donated nearly 300 pounds of vital supplies for various local organizations. From shampoo to soap to art supplies and beyond, we recently gathered 205 pounds of necessities benefiting the Tennyson Center for Children, Colorado’s leading care and educational center for abused, neglected and at-risk children. We also worked with another local organization to send almost 100 pounds of clothing to infants and children in Afghanistan. 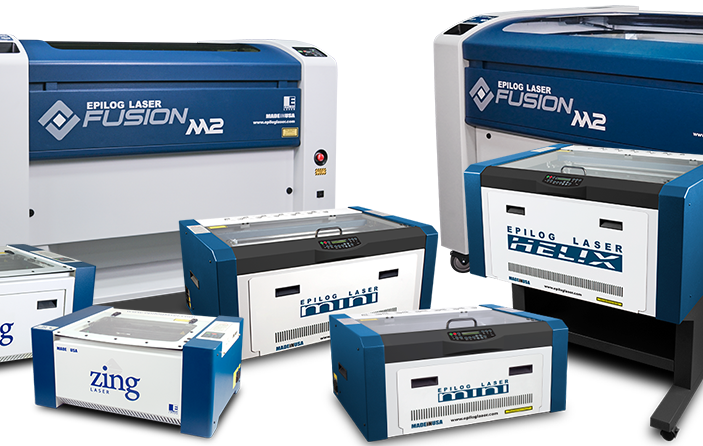 "Whether globally or locally, giving back to the community has always been a priority for Epilog," said Mike Dean, vice president of sales and marketing for Epilog Laser. "We're touched to see such a tremendous response from our employees to so many wonderful causes." On March 11, 2011 Colorado's Jefferson County School Board proposed suspending Outdoor Lab due to budget cuts. In an effort to save this valuable program, the Outdoor Lab Foundation was tasked with raising $450,000 from the community. Through corporate and individual donations Epilog Laser donated $1,161 to assist with the efforts, as many of our employees and their children have enjoyed the program in years past. The Outdoor Education Laboratory Schools (OELS) have been enriching the lives of sixth grade and high school students in Jefferson County since 1957. Mount Evans and Windy Peak Outdoor Education Laboratory Schools give students the opportunity to explore and experience subjects such as earth science, wildlife, biology, astronomy, and ecology, in a unique mountain setting. By engaging the student in problem solving, team building, decision-making and social participation, the OELS program helps to prepare Jeffco students for successful futures. The Outdoor Lab Foundation was established as a 501 (c)(3) non-profit organization to ensure the preservation and continuation of the OELS program. 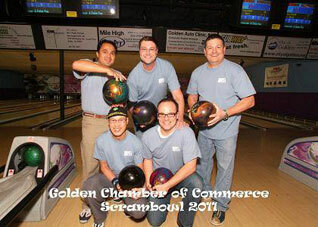 Epilog entered four teams into the 2011 Golden Chamber of Commerce ScramBowl for Lights. This event raised money to keep the holiday lights shining brightly throughout Golden. While we didn't take the championship trophy, one of our teams did place third and everyone had a great time while helping out a deserving cause. 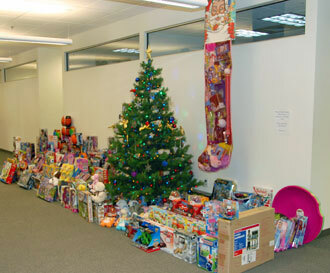 Once again Epilog partnered with American Military Family for the 2010 holiday toy drive. We're proud to say this year we raised $3,300 and donated 323 toys for AMF! 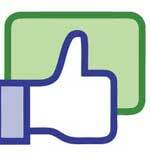 Thank you to Epilog ownership, employees, associates and friends for participating in this very worthy cause. 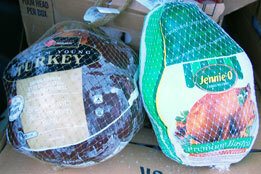 This year Epilog Laser and its employees donated 150 turkeys to the Denver Rescue Mission's Annual Turkey Drive! Employees donated 50 turkeys for the cause, and another 100 were donated by Epilog ownership. We were thankful to be a part of the project and really enjoyed helping make Thanksgiving a little brighter for those in the Denver-metro area. The 2010 drive set a record with local individuals and companies donating an astonishing total of 18,175 turkeys. 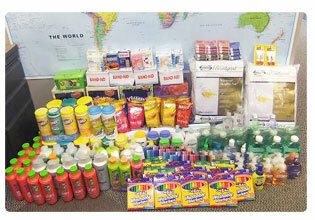 This fall Epilog and employees raised $932 for Secrest Elementary in our first school supply drive! The funds were used to purchase a variety of supplies and classroom accessories for students from kindergarten through sixth grade. Additionally, a portion of these funds were given to the school's Challenge Program as well as art, music and physical education programs. 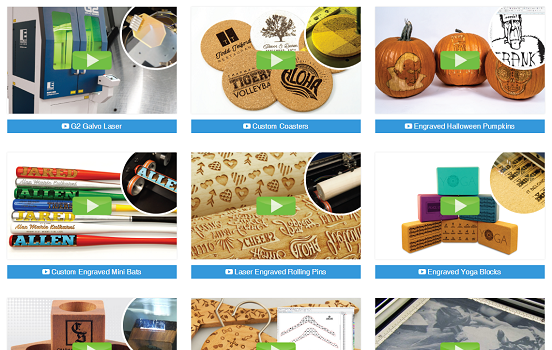 Thanks so much to Epilog and our employees for their generous contributions! Kudos to Chad Mitchiner and Mark Schwarz for their recent participation in the Great-West Life Bike MS, a two-day fundraising bike ride that benefits the Colorado Chapter of the National Multiple Sclerosis Society. 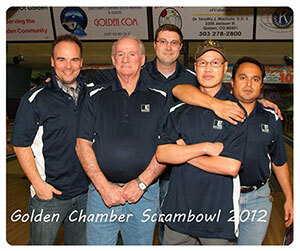 This is the tenth consecutive year Chad and Mark have participated in this fantastic event. Over 4,000 participants registered and helped raise over $3 million for a great cause. 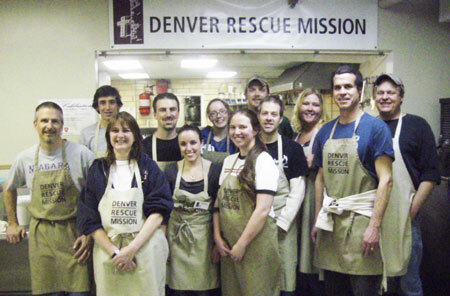 A group of Epilog employees recently spent the evening volunteering at the Denver Rescue Mission, helping to prepare and serve dinner to a crowd of over 280 local men and women. This was the second time a group of ten employees and their families volunteered at the Lawrence Street Shelter, which is the Mission's flagship ministry and central outreach location. Tens of thousands of poor and needy people come to this facility each year for shelter, food, clothing, medical care, client services, and chapel services. At the Lawrence Street Shelter, all who are hungry—families, seniors, men, women, and children—are welcome for a nutritious meal. The Lawrence Street Shelter serves three meals a day, 7 days a week, 365 days a year. Volunteers bring essential services to DRM outreach program. Epilog was proud to be part of the thousands of people offer their time, talent, and goodness of heart to Mission projects, to help make a difference in the lives of the needy. Giving back to the community has always been a priority at Epilog. This year was no exception as we worked with two deserving non-profit organizations in our area who both make Christmas a little brighter for local and military families. Thanks to our generous staff, we donated over 120 new toys for American Military Family. 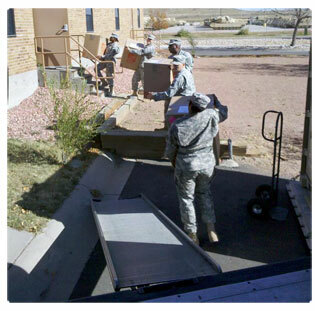 These toys will be distributed at Fort Carson in Colorado Springs. American Military Family's mission is to honor and support all members of the United States Military and their families, who together serve and sacrifice so much for all of us as they protect and defend our freedom. During these trying times for our military, we felt it was important to remember that our active-duty military members have children at home who are struggling with the absence of their parent and uncertainty about when they will return. 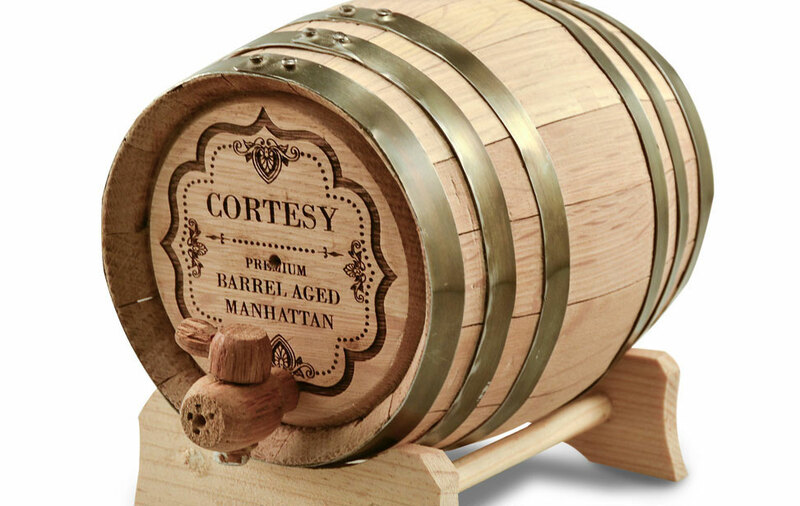 We had the opportunity this holiday season to give them a great token of our appreciation. It is also a great comfort to our military members to know that their families are happy and being taken care of at home. In addition to the toys, Epilog made a corporate donation of $1000. This year Epilog also "adopted" a family from the Family Tree organization. Family Tree provides a broad range of services and shelter to the families and youth of metro Denver to overcome child abuse, domestic violence and homelessness. 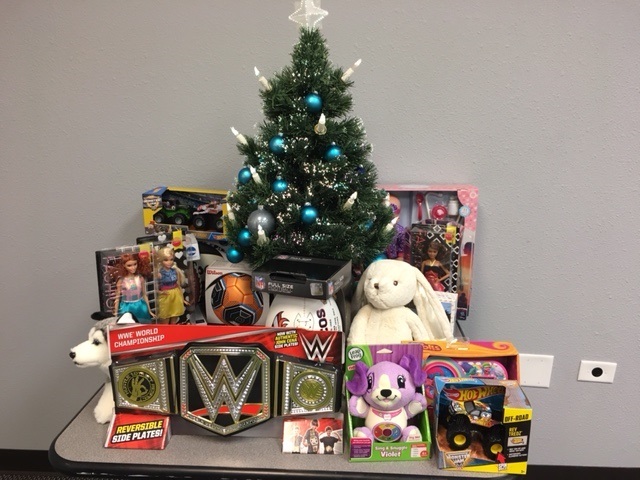 Employees raised $200 to help purchase gifts and other essentials for a mother and daughter in the area - hopefully making their holiday season more enjoyable. Epilog was also able to provide a $1000 corporate donation to Family Tree! We were honored to once again assist Family Tree who recently won the 2009 Governor's Service Award for Outstanding Non-Profit Organization. To learn more about all of the services Family Tree provides for homeless & abused Coloradoans you can access www.thefamilytree.org. Epilog recently wrapped up our 2008 toy drive benefiting children and teens being served by the Family Tree organization. 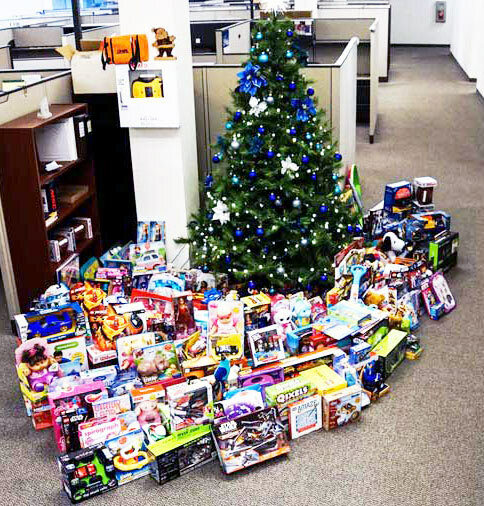 Employees brought in nearly 40 gifts for underprivileged youth to help make their Christmas holiday a little brighter. 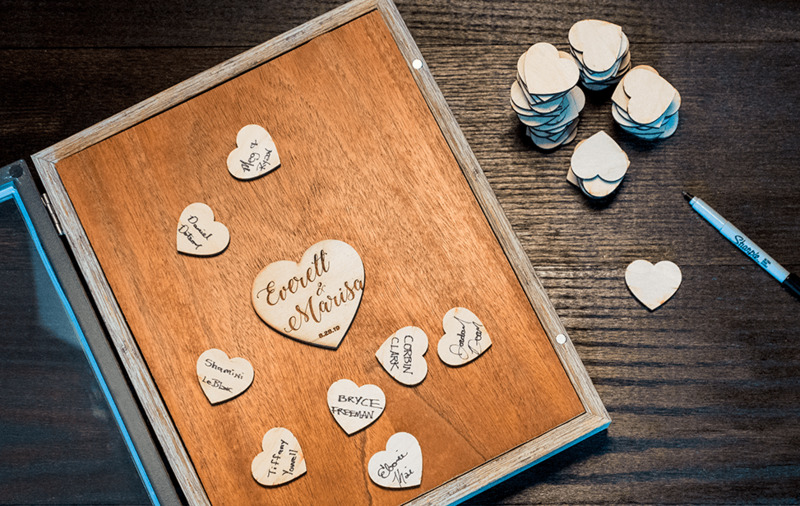 The Family Tree is a Colorado-based charity whose mission is to help people overcome child abuse, domestic violence and homelessness in an effort to become safe, strong and self-reliant. Family Tree helps people reach these goals by offering a wide spectrum of services including: emergency shelters for runaway and abused youth, women and children victims of domestic violence, and homeless women and children; counseling and support groups; parenting and self-sufficiency classes; temporary and permanent housing; transportation assistance; supervised visitation and safe exchange programs, among other services. No, it's not a misspelling, Fleece Navidad is the latest community activity in which Epilog employees are participating. This year individual Epilog employees "adopted" 10 different senior citizens at the Camellia Healthcare Center who were in need of warm clothes this holiday season. "For the small price of a sweatshirt and sweat pants, our employees can really make a difference in someone's life," said Mike Dean, director of sales and marketing. "We tend to get so busy and rushed during this time of year - it's comforting to know even a small gesture can really make someone else's holiday." The names of only ten seniors were given to us and upon notifying the company, all ten were "adopted" in less than 60 minutes!